Refinancing a personal loan sounds complicated, but can be a great way to either consolidate your debt or cut down on your interest payments. Or both, which is great! Quite simply, refinancing means finding a loan that will cover the amount you have owing on your existing loan, but with lower fees and interest – basically better terms all round. While your debt won’t magically disappear once you’ve done this, you’ll be looking at lower interest repayments overall and if you choose debt consolidation, you’ll also have a lot less maths to do. Our guide covers how to refinance a personal loan and some important things you should think about if you’re considering this. Why should I refinance my personal loan? Come across a nicer looking deal. Compare better personal loan offers that might include lower interest, fewer fees or allow you to make extra repayments. Think about establishment or setting up costs, and ongoing or maintenance costs too. If everything works out better, you could be looking at a good opportunity to refinance your personal loan. Want to consolidate your debt. Debt consolidation involves taking out a single loan to cover many others, such as credit cards, higher interest personal loans and maybe even a car loan too. 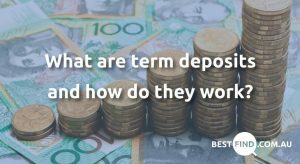 How do I refinance a personal loan? Work on your credit rating. As personal loan refinancing involves applying for a new loan, it’s recommended that you check whether your credit history is up to scratch. Your credit ratings change over time based on whether we make timely repayments or not, so your personal score may have gone up or down. If you’ve got a great credit score, you’ll be a better candidate for a new lender. Compare available loan deals. Let your existing loan provider know that you’re thinking about refinancing, and ask if they have any better offers. It doesn’t hurt to drop the fact that you’re happy to look elsewhere if they haven’t any good deals. Don’t be afraid to do so either if this turns out to be the case.When comparing offers, don’t forget to check for fees and the policies around early repayment. Once you’ve decided on a couple of offers that look good, do return to your original lender and see if they’d like to match or beat these. Again, credit rating plays a role here. If yours is good, they may be happy to give you a better quote just to keep you as a customer. Look online for good offers. If you aren’t happy with the deals you’ve been offered at this point, it may be time to look online. Some online banks and independent or P2P lenders, tend to have lower refinancing rates than regular banks as they don’t need to pay tellers and similar expenses. 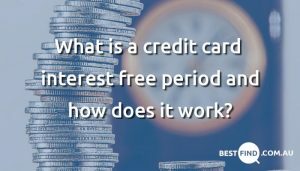 Because of this, they may be able to offer lower interest rates, lower regular fees or both. Do your homework. A deal that works out well for you may still take time to sort out, and you can expect a fair bit of paperwork. If you’re signing on with a new provider you’ll need to get your credit report ready and all the financial proof that you did when applying for your existing loan. Don’t forget to ask about establishment and hidden fees, repayment periods and charges and whether there are restrictions on how you use your loan funds. Close your first loan(s). This should be done by you once your receive your money. Make it a point to ensure your previous loan is closed or you’ll be looking at two sets of interest payments! How much will cost me to refinance? Application or establishment fees. Ideally you’ll have included this in your comparison, but it doesn’t hurt to double check as these can reach up to $300+. Maintenance or ongoing fees. 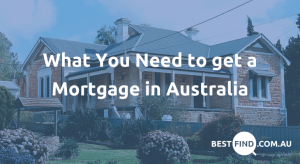 Most loans will include loan service or monthly fees, so get your calculator out and have a look at whether this will cost you more over time. Extra or early repayment fees. These will vary between lenders, and are worth considering if are interested in paying off your new loan early. Double check that the early repayment fees do not entirely offset your interest repayment savings. Once you refinance, you may want to read our blog on how to pay off your personal loan faster.